From book to book, the one thing you can count on with Nicole Falls' books is that they will make you laugh. First Last Kiss was no different. From the first page to the last one, humor is the star of this romantic comedy. Calista is what I imagine Nicole to be in real life. I could feel more of Ms. Fall's voice in Calista's character. Outspoken, but oddly coy, funny in an unintentional way--and extremely down to earth. Calista wasn't looking for love but found it in the arms of a man named Kirk. Despite carrying the name of a man we all know to be trifling--that is if you watch Love and Hip Hop Atlanta, and there is no need to pretend you don't. Kirk is suave and attentive, and an all-around stand-up guy. Taking on the responsibility of raising a child that's not his--and so hands-on, is definitely an admirable trait. Together the two, Cali and Kirk fought the inevitable--and the reader gets to enjoy the journey. That is one thing Nicole specializes in, bringing two people together despite the circumstances and keeping them together in spite of them. I enjoyed the overall relationships in the novel because if you are an avid reader, you know that secondary characters are just as important as our MC's. From the outspoken bestie, the not so well physically Mama, to the unassuming but funny fathers, they all played a crucial role in the progression of the story. I love a good solid black family, and there was no shortage despite the interesting circumstances. It was a treat to watch it all happen. Note, this is not a quick moving read by any means, it all happens in real time movement. That is until you get to the end, where things are sped up, and completed with a realistic and smile-inducing HEA. 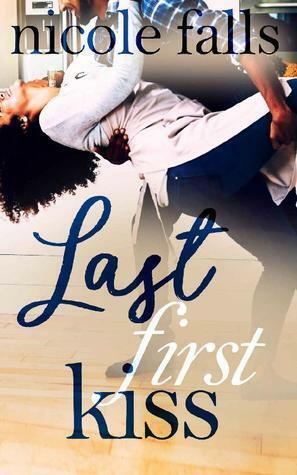 This is typical Nicole Falls romance, humorous, realistic--and pro-black. I love what she does for black romance, and in black romance. Y'all already know I love me some Nicole Falls. So, do what you know needs to be done--and grab yourself a copy of her latest read--because you know I would never steer you wrong. I just want to read this one because of the family. I love great family dynamics in books. And let me add this author in my Amazon wishlist. Her books sound fabulous!